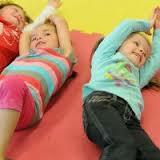 Many children need some help with body awareness. Here are some tips that we’ve picked up along the way that you might want to try out. Sue Larkey has some excellent advice which will help as well. Point to and name parts of the body. Talk about left/right.Look in the mirror. Point to and name parts of the body. In a class or group someone calls out the name of a body part.The child points to it on their own body and repeats the name. (eyes open and then eyes closed). talk about which goes on right and left. Try them on. Give quick commands to the child to “touch left shoulder”, “bend right knee”, “stick tongue out to left”, “with left hand touch right ear”, “with right knee touch left elbow”, with left foot touch right calf” etc. If this is accurate and automatic then go on to 10. Follow left/right directions, eg. “five steps to left, three forward, six to right”. Increase the number of instructions as the child is able. Continue until the child is sure of left/right directions. Blind guided walk. This is a good test to see how automatically the blindfolded child can follow directions. “Take three steps forward, turn right, take two steps, turn left, side step three to the left”. 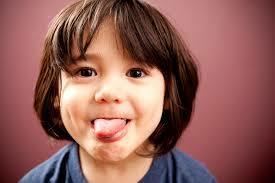 These can be increased and varied according to the child’s level of ability.